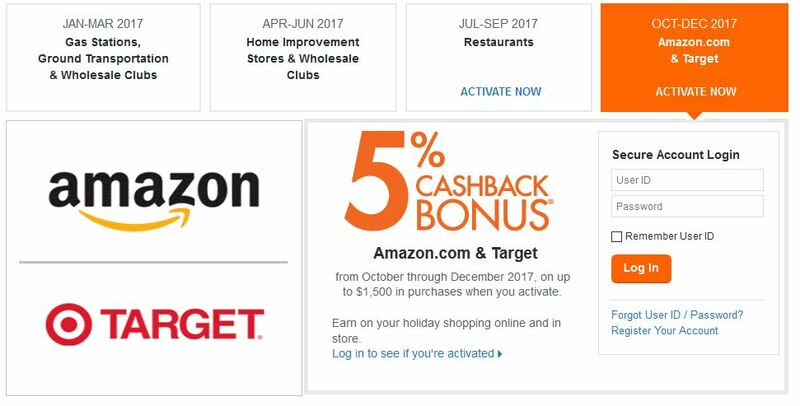 Discover is offering 5% cash back at Amazon.com and at Target. Just log into to your account at Discover.com to register. You must register before you’ll receive the 5% cash back. As usual, the US Bank Cash+ card offers the most choices so you can select whichever categories fit you best. 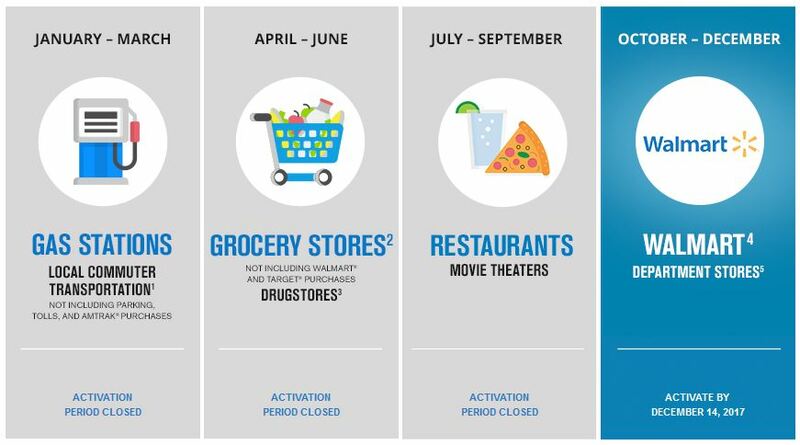 You’re allowed one 2% category and 2 x 5% categories. Note that the 5% cash back is limited to the first $2000 in your selected categories. We’ve known for some time that the Freedom card’s general category for Q4 would be “Holiday” but had no details as to what that meant. Now we know that means Wal-mart and department stores. You can earn 5x points for up to $1500 in purchases on your Freedom card when you use it for shopping at Wal-mart and department stores. Note that Wal-mart carries gift cards so if you’ll be giving some of those as holiday presents, here’s a good way to earn extra points in the process. You must register by December 14 but you do not have to register before your first purchase. Registration is open now for all of these cards. Go ahead and sign up today and you’ll be all set once the first of October rolls around.